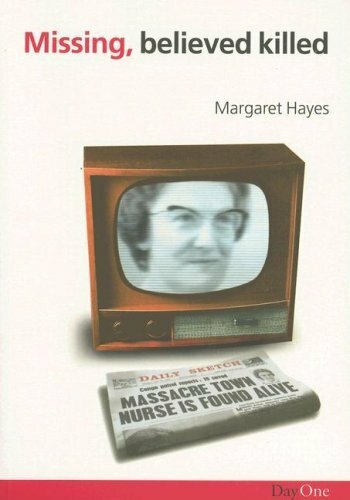 In 1964 Margaret Hayes a British nurse working in the Congo was caught up in a bloody rebellion where dozens of her colleagues were brutally massacred. For eight months Margaret was missing, and believed killed. She will protest that it was not her personal faith but the One in whom she placed her faith that brought light into the cruelty of those terrible months. Her capture, and chilling experiences at the hands of the rebels, and her eventual release, are described in this compelling book. Although harrowing, this is a tale of human courage, and a testimony to the God of miracles. Margaret has an amazing story that is definitely worth reading about. She has a strong Christian faith and shows her amazing faith through her story in this book. She brings out many truths in her book which is a story that should not be forgotten. This is one of my favorite Christian Biographies of all time. It is an amazing story of courage, survival, and God’s grace. This story was fairly well known during the 1960’s and 1970’s, but it has been forgotten by many. It is a story that I think will inspire many in today’s generation to live their life for Christ, no matter the sacrifice.